UltimateWoo 2.0 Survey As we begin to make plans for UltimateWoo 2.0, we want to hear from our users about how they would prefer to use UltimateWoo. 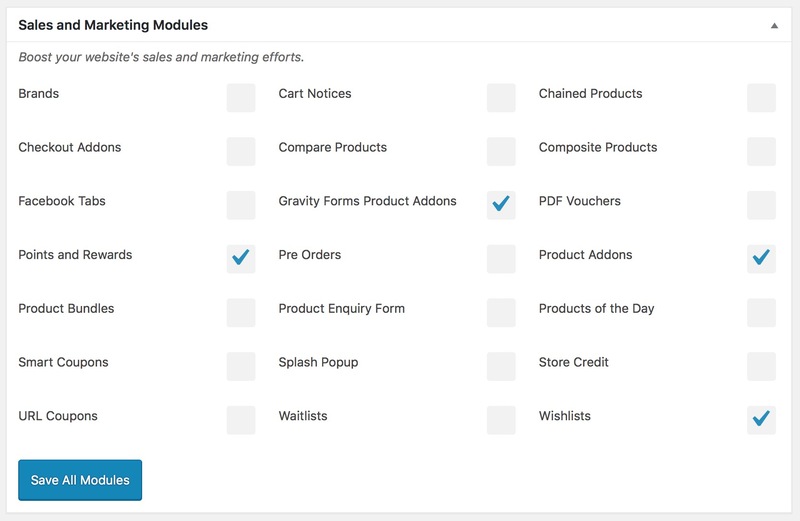 For UltimateWoo 2.0, we are considering an entirely new flow for how modules are included and enabled on your website. We would love to know your preferences. Please complete the quick survey below. The status-quo! This is how modules are currently bundled in UltimateWoo. All modules are included in the plugin zip file that you download from our website. When modules are updated, they are pushed out in an update to the entire plugin. The resulting file size is relatively large. Our proposed change to how modules are included is a new module installer. 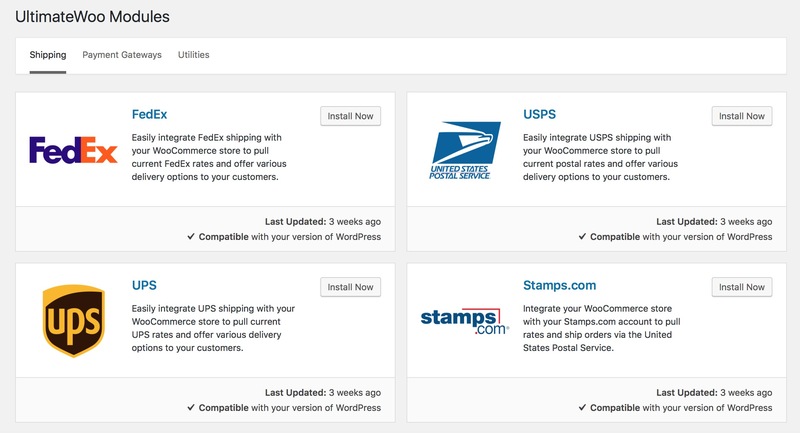 The overall design may or may not look like that above, but this would function much like the WordPress plugin installer that you’re used to: click “Install Now” to install the module, then “Activate” to activate the module. You could then manage the modules like normal plugins (deactivate and delete). The resulting file size would be smaller, and only the modules you want will be included. Feel free to share your thoughts or requests! Care to provide your email address? If you do, we may follow up with you regarding your feedback.